Accommodation at Glendavan has been tailored to offer every guest a little bit of luxury in a relaxed and informal manner. Furnished to high standards, all three of our rooms and suites combine bespoke and antique furniture, Victorian features and luxurious fabrics with state of the art, modern facilities. 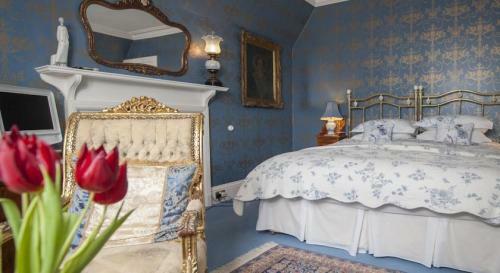 Each suite and room is distinctive and offers a different accommodation offering dependent on the nature of your stay. Regardless of choice, each has Digital Television and DVD player, CD player, I-Pod docking station, radio and wi-fi Internet access. Fresh flowers are in abundance and bathrobes and Toiletries are available in all of our guest bathrooms. Chocolates and decanters of port come as standard. The Davan Room is our upstairs master bedroom with superking bed (twin by request) and offers a lovely seating area infront of the double windows overlooking Loch Davan towards Mount Keen in the distance. The large en-suite shower room has underfloor heating and large walk-in shower. 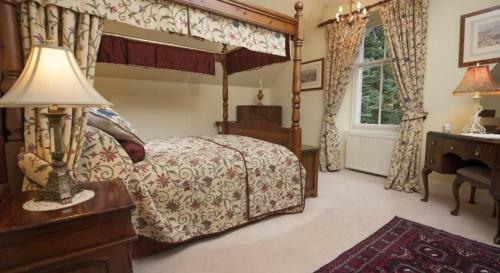 The Trantor Suite is our upstairs suite of rooms with four poster king sized bed. 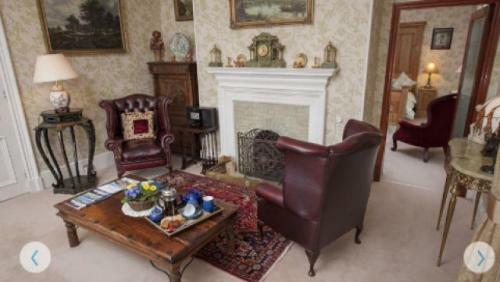 The suite also has a large bathroom with seperate shower and roll-top bath and an en-suite sitting room with open fire, fully stocked bookshelves, comfy sofa and desk. Large windows look out over the bird and squirrel garden to the side and Loch Davan to the front. The Ogston Suite is our ground floor suite offering a fabulous retreat in spacious rooms . The Ogston has a king sized feature bed, en-suite bathroom with whirpool bath and overhead shower, en-suite sitting room with Chesterfield arm chairs, desk and open fire. Guests in this suite also have exclusive, en-suite use of the conservatory with ring side seats to view the red squirrels, pheasants, woodpeckers and bird life who visit the decking every day.